How did the Welsh travel beyond their geographical borders in the Middle Ages? What did they do, what did they take with them, and what did they bring back? The first book to study the medieval Welsh on the move, The Welsh and the Medieval World offers a multidisciplinary entry point into Welsh migration and showcases a bold new generation of Welsh historians. Edited by historian Patricia Skinner, this book is an exploration of identity within and outside the Welsh territories. Deep considerations of the Welsh abroad draw upon wider concepts of nationhood, diaspora, and colonization; economic migration; gender relations; and the pursuit of educational, religious, and cultural opportunities. 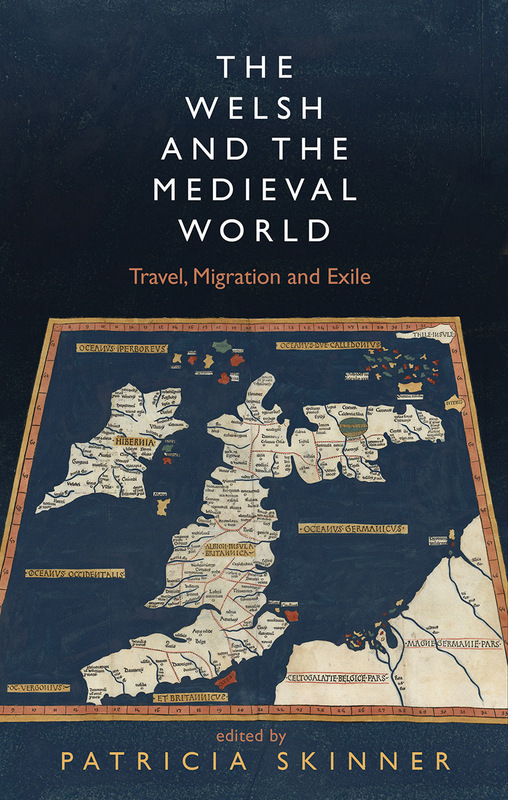 Contributors ask whether there is anything specifically “Welsh” about the experiences of medieval migrants and correspondents, and they study how these medieval experiences contribute to the broader history of emigration and exchange. Examining archaeological, historical, and literary evidence together, The Welsh and the Medieval World enables a better understanding of the ways in which people from Wales interacted with and understood their near and distant neighbours. "This fascinating collection explores how widely the medieval Welsh extended their influence and travelled not only within Britain, but to France, Rome and Jerusalem. Examining gender roles, ethnicity and cultural exchange, it shows the medieval Welsh as part of Catholic European society, who yet maintained a distinctive identity."